Music lessons for all ages, taught by experienced, dedicated, and personable teachers. 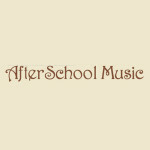 Located in downtown Pitman, AfterSchool Music has been filling our community with music for over 20 years. We are available to answer your questions and personalize your instructional needs.